My article on social enterprises appeared in the Guardian today and it covers how we use our social enterprise status in our marketing. The short answer is that we do not – we focus on the benefits that we deliver to patients and to customers. But one big benefit we get is in recruitment. People want to join social enterprises because of their focus on social impact, and that means we get lots of high quality candidates. And we are hiring! So drop us a line if you want to help patients know best. There’s been much debate recently about how we as a sector should explain ourselves and whether it’s even worth mentioning that we are social enterprises at all. Should we search for an all-encompassing phrase to use or should we forget about the term ‘social enterprise’ altogether and just think of ourselves as part of the private sector? For me, both of these questions fall wide off the mark. I believe that how you use ‘social enterprise’ should depend on the objectives of your business, your market, your growth strategy and overall, whether it’s beneficial for your brand. Each entrepreneur must decide for themselves. At Patients Know Best we use our social enterprise status as a way to find and recruit great people – but we hold back on using it when we first pitch in our software to a client. So why is this? “What is your job?” asked a reporter to a cleaner working in NASA in its early days. 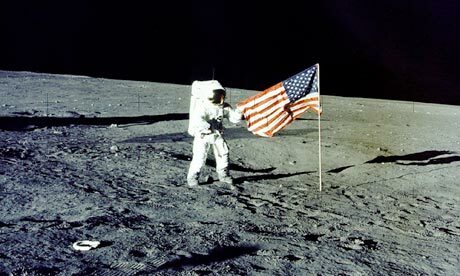 “I am helping to put a man on the moon!” replied the cleaner – it’s this same sense of mission and common purpose that makes social enterprises like ours so powerful at recruiting and retaining employees. At Patients Know Best, everyone on the team knows that our name is our mission. Our software puts patients in control of their medical records, so they can understand and then manage their own health care. Since we started in 2008, we have seen a considerable increase in the number and quality of candidates asking to join us because we are a social enterprise. They believe in the mission and they want to help make it happen. However, despite using our social enterprise status to recruit, we rarely mention that we are a social enterprise to customers – indeed, when they do find out and they see that we’ve won many awards for being one they’re often pleasantly surprised. But they don’t find out from us. There are two reasons for this. First, there’s still a lot of ambiguity in the sector about its definition and there are a plethora of different legal definitions. This can be confusing to potential clients. When working with high profile customers like Great Ormond Street Hospital, UCL Hospital and Torbay Hospital, we prefer to focus the conversation on the social impact of putting patients in control of their records – not on our legal status. That’s what impresses these clients – not the fact that we are a social enterprise. Some of the competitions such as Unltd’s Big Venture Challenge recognise that social mission and social impact is more important than legal structure – and it is great to see this reflected in the winners they chose. Second, the ambition, potential and scalability of social enterprises are often misunderstood. There’s a lack of confidence in some areas that we can be an alternative and that we can offer real competition to traditional, private sector businesses. That’s something that must change. For example, last year, Patients Know Best applied to an international competition whose organisers claimed they wanted the best, the most ambitious and the most scalable social enterprises from all over the world. The judges were impressed with our achievements – which was great – but decided not to take our application further because they thought Google Health was too much of a competitor. They were worried that we’d never be able to compete against one of the largest companies in the world – but why not? I say we can compete. In the meantime, Google has shut down its health business and we have been growing, signing up large pharma company Novartis, teaching hospital St Mark’s and patient charities as customers because our software works globally whereas Google’s product could not. Each social entrepreneur must decide for themselves when, how and in what circumstances it is right for them to send a strong social enterprise message – and that depends on what objectives you have, what market you are servicing and where you see your business heading in the long term. Previous Post: Can information technology improve healthcare?